How to Activate Jio HD VoLTE Calling On any Android smartphone without root . 1 How to Activate Jio HD VoLTE Calling On any Android smartphone without root . 2 How to Make Calls on VoLTE on any android smartphone For free . 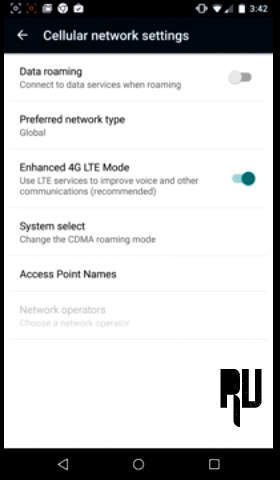 2.1 How to Activate 4G HD Voice Over LTE Call Settings on Android . 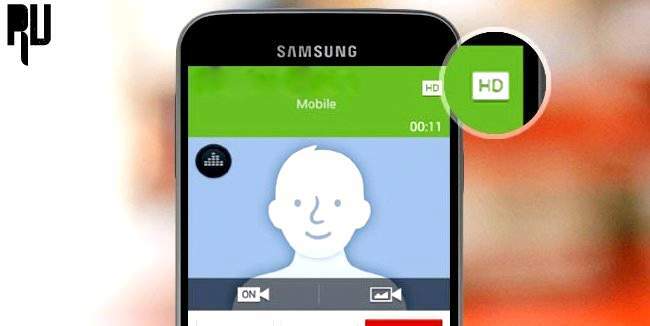 Do you want to activate Hd voice calling VoLTE on your android smartphone ? today we are here with a guide in which we will tell you how you can make calls on VoLTE on any android mobile without root . VolTE stands for Voice over LTE network .VoLTE is a technology in which you can make calls on LTE network . Calls on the Lte networks are much clearer and nice to hear then the ordinary calls . Some geeks believe that Volte calls are only possible if Hardware is compatible but we believe that if a smartphone supports 4G/LTE network then it also support VoLTE calls by some tweaks . So today we are here with a guide on How to activate VoLTE calls on any android device without rooting . How to Make Calls on VoLTE on any android smartphone For free . There are no special requirements for activating VoLTE calls all you need is a 4G supporting Handset and and 4G activated sim card . Here is how you can check if your smartphone is 4G compatible . How to Enable Jio 4G Volte Calling on Any android Mobile without Using Jio4Gvoice app. Then open the dialer of your smartphone and dial *#06# . This will give you the Imei of your phone . Now input the imei number in The imei.info website . And this will tell you if your smartphone is 4G compatible to make VoLTE calls or not . The other way to check is simple going in the cellular networks of your smartphone and checking if there is a LTE network option available . How to Activate 4G HD Voice Over LTE Call Settings on Android . After Dialing the above number you will see the phone information . Now in the options there will be a option to activate LTE services , just enable that . After enabling go to the Cellular Network Settings . Now enable Enable Enhanced 4G LTE Mode . After Enabling make a Reboot of your smartphone . Please Note :- Sometimes you may face No network coverage in the areas where 4g singles cant reach in that case you need to Switch to 3G or 2G to get calls .After Enabling the 4G volte you may notice slight difference in the battery backup of your smartphone . 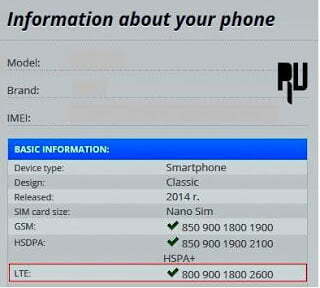 So by following the above guide you will be able to activate VoLTE calling on your smartphone . VoLTE not only let us make clear voice calls but also reduces the chances of call drops . First of all Go to settings of your android Device . In settings you will see Mobile and Networks settings. Now open Mobile network settings. In Network settings you will see many different options. Just tap on Enhanced 4G LTE mode . Now make a reboot of your device . Make sure you have inserted The 4G sim in first slot . What is Volte Calling ? Volte calling is a new technology which works on 4G network . The main moto of Volte calling is to provide users with very clear and non-drop calls . Volte is also Known as Voice over Lte network . Make sure you follow This guide to enable volte calling on Lenovo Devices only . Make sure there is minimum 50% battery in your device . Enable Volte Calling On Lenovo K4 Note . Enable Volte Calling On Lenovo K5 Note . Enable Volte Calling On Lenovo A6000 . Enable Volte Calling on Lenovo A7000 . So lets start the guide on How to Enable Jio Volte calling on Lenovo mobiles . First of all Go to Settings of your Lenovo Device. Now In settings open About Phone . In About Phone you will See Software Update option . Now just tap on Check for Software update . Now you will see Volte Software update for lenovo phone. Just download it and install it on your device . Now Tap on ” Enable 4G Volte Calling ” . Just Reboot your Device . Thats all !! You have Successfully Enable Jio Volte Calling on Lenovo. As we all know that Xiaomi cant launch Mediatek devices in india and at some point it is good as well because devices upto Helio x10 or Redmi note 3 doesnt Get a Volte Supported hardware and on other hand Snapdragon devices are Volte Hardware supported but not software supported , we will discuss about that later . Now you will see Check for System Updates option . Now you will System Update for Your device . After Downloading you will get Reboot and Install option . Thats all !! By doing this you can easily enable Volte calling on Redmi and Mi devices . Micromax is undoubtedly one of those companies who introduced low price android smartphones in india and made Smartphone affordable for everyone . But the worst part about their smartphones is the build quality and Value for money . There are very few micromax devices in india which comes with a Snapdragon processor . Go to Setting of Smartphone . Now in About Phone you will get System Updates / Software Updates option . Now See If software update is available for your micromax device or not . If there is a update available then look for Volte Support in the Update information . If its there then simply download The Micromax Volte Software update and install it on your device . Samsung always announce something new in their smartphones like the Edge display, The Wireless charging feature, And not only the company but there is a huge community of developers supporting Samsung smartphone and it doesn’t matter if its a All new galaxy S7 edge or a old Galaxy Y you will always get rom and bunch of extra tweaks for your device . First off all Insert the Jio Sim in 4G slot or the 1st Card slot . No got the settings and Open Mobile network settings . Now You will see a option To Enable jio Volte on Samsung device, Just tap on that . Now make a reboot of your Samsung phone . First of all copy the custom rom in the root of sd card . Now rename the rom to Update.zip. Make sure there is CWM or TWRP recovery installed in your device, Here is the guide on How to install TWRP recovery on any android device without Pc. Now Just boot your device in recovery mode. After you boot in recovery mode. Tap on Wipe Data and factory reset . Now tap on Install and choose update.zip file . Now The device will start installing Volte ready custom rom for samsung phone . Thats all !!! By Doing this you will Activate Jio Volte calling on Samsung mobile. There is a also one more way with which you can enable volte on samsung mobile and we will discuss about that later . Yu is a Sister brand of Micromax and the first device they launched in india was Yu Yureka and the smartphone was undoubtedly a hit in Indian market and also one of the very first device to feature snapdragon processor in affordable price . There are two ways with you can enable volte calling on Yu mobile, The first is using the default Updater app to Get Volte support on Yu . The second way is to Download the firware from official website and then flash it . First of all you have to do is check if there is sufficient Space available in your device or not . If its more then 4Gb then you can proceed further . Now Reboot your device and after reboot connect it to Internet . Now you Have to go to About phone . Now look for Cyanogen updates settings . Now Download Cyanogen update with Volte Support for Yu mobile . After downloading install the update . Thats all !! Just make a reboot of your device . Now you Can make Volte Calls on Yuphoria, Yureka, Yunicorn, Yunique . So the first thing you have to do is Download Volte software for yu devices. After downloading rename it Volte.zip or Update.zip . Now You have to Boot your device in Download mode/ Recovery mode . To boot Yu phone in recovery mode press and hold volume Up + Volume down + power button together . Now tap on Choose Update file, Now choose the Update.zip you have downloaded earlier . Thats all !! By this way you can Make Jio volte calls on Yu mobiles . Motorola smartphones are one of the very popular smartphones in india, The best thing about moto devices is the wide range of smartphone they offers from entry level Moto G to flagship Moto droid turbo . There are many Moto smartphones which already support Volte and all you need to do is just enable that by following the below guide . First of all Make sure that you have inserted the Jio 4G sim in 1st sim card slot . Usually all companies feature 4G sim in 1st Slot and it is mandatory that you insert the sim in 1st slot to Enable Volte feature . After checking make a reboot of your device . Now go to the general settings of your smartphone . Now Look for Mobile network or Sim card settings. Now you will see enable Volte sim card option . Just turn on that option and You will be able to Use volte on Motorola devices . Just like samsung there are a plenty of rom available for Motorola devices as well and moto is also very active in terms of providing software updates . So to enable Jio volte calling On Motorola you have to Check for Volte Supported Software or Volte Supported custom rom :-First Of all Go to Phone settings. Now You will see a option ” Check for System Updates ” . Now you will get A Software update with Volte Hd Calling Support . Just Download the Update and install it on your device . Thats all !! You have Can now successfully make Jio 4G volte calling on Moto mobile . How to Enable Jio 4G volte calling on Hauwei Phones. How to Enable Jio 4G Volte Calling on Oppo Phones. How to Enable Jio 4G Volte Calling in Vivo Phones. How to Enable Jio 4G Volte Calling on Xolo Phones. How to Enable Jio 4G Volte Calling on Lava Phones. 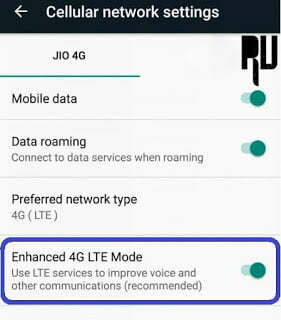 How to Enable Jio 4G Volte Callingo in Zuk Phones. How to Enable Jio 4G Volte Calling On Gionee Phones. How to Enable Jio 4G Volte Calling in Asus Phones. How to Enable Jio 4G Volte Calling on HTC phones. How to Enable Jio 4G Volte Calling in Coolpad note mobiles. This way to activate Jio 4G volte on any android device is one of the very rare methods and it because by this method we activate volte by enabling it in by going in Engineer mode and Secret settings . So basically we will tell you 2 different ways with which you can Make Jio 4G volte calling on Any android device . 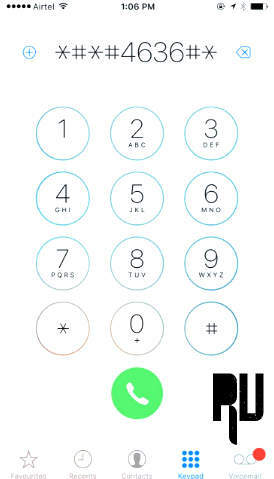 First of all Open Dialer app in your smartphone . Now Just after this command you will get a Setting . Now tap on Sim 1 information. 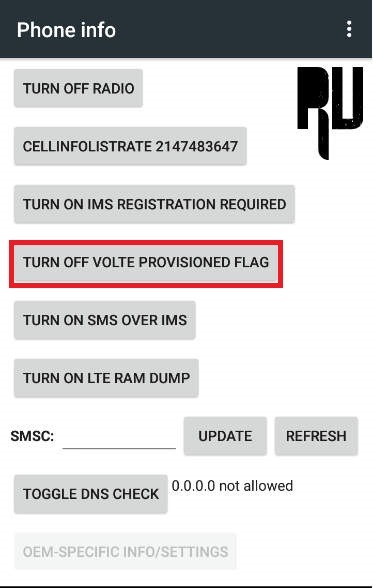 Now After tapping You will see option ” Turn off Volte Flag provision ” . Now After Tapping on That make a reboot of your device . After Rebooting Go to the settings of smartphone . Now In settings you will see VoLTE option . Just tap on Enable LTE data services to improve voice quality . Thats All !!! Now you can Make Jio 4G Volte calls without using jiojoin Jio4gvoice app . First of all Download and install Sqlite app from Playstore . Now open the app and tap on file manager . Open Settings.Db , Global, Now look up for volte_feature_disabled. Now just save the settings and Restart your device . Now after restarting open phone settings . Now you will see Volte Settings option . Just open that now tap on Enable Volte . Thats all !!! You have successfully enabled volte jio calling on your android device . First of all open dialer app . Now you will see 2 options Sim 1 information, Sim 2 Information . Tap on Sim 1 information . Now you will see option to Select Preferred network type . Now tap on LTE only option . Now go to settings and tap on mobile network settings . Thats all !!! You have successfully enable Jio 4G volte calling on android mobile . So this was our guide on How to enable Jio 4G volte calling on any android phone, I hope After following this guide on How to Make Jio 4G volte calls from any android mobile you are able to make calls . So this was our guide on How to Activate VoLTE calling in any android smartphone without root . Yes you can Use 4G in Lenovo K3 note . Hello sir iske bad kya jio sim se hum lenovo a7000 me volte call kar sakte hain..?? With out jio join app..!? i am unable to do this by this way! For huawei honor holly 2 plus??? Hi tarun yes you can try this on Holly 2 plus . can i use it on lenovo vibe k5? Sir please can you tell me how to enable Volte in Redmi 2?? It will work in lenovo zuk z1. Hi satish yes you can try . Hi Satish, did it work on your lenovo zuk z1? Can I use this method in Moto G4 Plus 32GB? I have mi 4i so i can use volte without jiojoi? Or how to enable volte in mi 4i? I hv bought swipe elite plus 4g LTE but not VOLTE support ….can i use VOLTE in it…if yes then how? Hi Mohit You can try this method to enable volte calling . Video calling is not allowed.!!!? Hello sir in Samsung grand prime lte support but volte support how to active in these mobile…….? Hi Jay prakash have you followed the above steps ? Hi Atanu yes you can try This on Asus Zenfone Max . Hi vikash Coolpad Dazen 1 only supports Lte network and not VoLte . Hi Harshit you can try in Redmi note 4G . Sir I can't get VoLTE in my Lenovo Vibe x3…what can I do..
Hi Salmanual make sure you follow all steps correctly . Hi , Have you updated your Coolpad note 3 to marshmallow ? Choose LTE Only . And In Mobile networks choose Hd Calling . Hi Rahul , yes you can use Jio 4G in Galaxy E7 . Make sure you have enabled it in the settings and also place the same in First sim card slot . Hi Pawan, No you cant use Volte on K3 note without Update . Can i use VoLte services in UMI Super? Hi Yugal, yes you can use Volte Services on Your UMI Super . Hi Himanshu, Have you Done all the above steps ? Hi Sir I have Panasonic Eluga I2 1 GB can I use volte call on without any app?please guide. Hi Jk, yes the above given method doesn't need Any kind of App to make VoLte Calls . Hi Ashutosh, yes you can use Jio Sim in Coolpad Dazen 1 . Hi Lalit, Make sure you do all the above steps and then Enable Hd calling by going in settings . Can I enable volte in oneplus one ??? Hi Anandha, Yes you can Enable Volte in Oneplus one . Hi, make sure you set LTE only as preferred Network type . Hi Rajesh, Yes you can use Volte in Yu5010 . Follow the above steps and then choose lte only as preferred network type . Hi, Make sure you have properly inserted JIO 4G sim in the 1st slot . Will it work in Moto Turbo 64gb VERSION? Hi ram, Yes this will work in Moto Turbo . Yes You can use 4G volte in Xolo Black 3gb ram . Hi karan, Yes you can use this method in Redmi 2 .
my device is 4g but it does not support 4g indian bands…is there a update for volte ? Yes you can , Have you tried the above methods ? I have a OnePlus One. I have already enabled enhanced 4G LTE mode but j still didn't get VoLTE on my phone. I am currently running android 6.0.1 via cyanogenmod 13.1.2. Hi Make sure you are in a area where network coverage is full . Hi yes you can use it in iball slide Cuddle 4G . Will this support oneplusone. ? Hi make sure you are trying this after inserting the sim in 1st slot . Is swipe elite plus will support this method… please let me know quickly.. Yes you can try this method in swipe elite plus . Yes you can buy Jio sim in htc desire 820 . Hi,can i use this.step for volte calling on.sony m4 AQUAdual.I have marshmallow as OS in it. Yes you can use in Sony m4 Aqua Dual . Hi… I am using Lenovo vibe k5 and using Jio Sim in it. I am unable to make calls without internet (jio 4g voice app). I found that my mobile LTE enabled but not VoLTE enabled. What should I do. Tell me please. Hello, Have you tried all above steps ? Have you tried the above guide ? Can I activate volte on le 1s?? Yes you can try the guide . 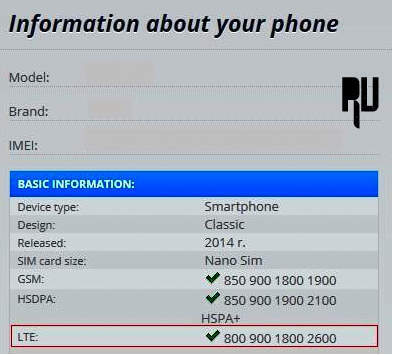 how to use volte on honor 4x? Try Each and every step . Have you updated to Miui 8 ? HI CM13 does not support Volte so better you flash the stock rom again . Not sure if Micromax canvas 6 pro supports volte or not but still you can try . Yes you can try in Xperia Z . Wait for the official Update from Xiaomi . Redmi note prime supports LTE Network . Yes you can activate Volte in Lenovo A7000 . Sir I am not able to do calls using Jio sim in Celkon 4g tab8 after installing 4gvoice call also. To make calling using Jio4voice you should have good internet connection . You can use Jio4Gvoice to make calls . I am not getting if I can do it on my lenovo phab plus? if yes, then how? Lenovo Phab plus is currently not supported . Can we use Volte option in Lenovo a6000 plus without jiocalling app? Yes , Wait for the company to release a update for the device . Sir, Now I am using Redmi Note 4g in CM 13 but volte is not enabled. But volte is enabled after pressing *#*#4636#*#* showing "Turn off volte provision flag" but not showing mobile networks menu. Plz fix the problem. Dont turn off ,Tap on Enable and make sure that the Jio 4G sim card is inserted in 1st slot . Does this method work in coolpad dazen 1??? Hey am using zuk z1 how can i activate volte in it??? Wait for the official update from YU . Yes You can try this guide in Vivo V1 . Yes Redmi note prime supports Lte so you can give a try . Hi friends.. I'm SUDARSHAN.. I'm using meizu m2 mobile . I'm using jio sim in my mobile. Data speed is good but jio 4g voice or jio join apps are not configuring in my mobile phone so kindly solve it..
Hi sudarshan Make sure you have selected LTE only mode . 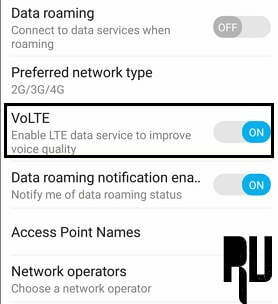 how to enable volte feature in honor 4x mobile? SIR LAVA PIXEL V2 ..? Hi sandip if the above guide doesn't works for you then we will recommend you to wait for the official firmware update from Company . Will it work on lenovo a2010?? does this method work in lenovo Zuk Z1? Is it working in galaxy note 3 N9000?? How to enable VOLTE on Lenovo A2010? My phone is yu yureka and it's already showing me all this things "on" but still not able to find volte option i use volte sim. Sir,can i activate VoLTE in lenovo a6000 using Jio 4G without using Jio Voice app? Can this feature be activated on samsung galaxy j5 coz i bought my device from abroad?? Is it applicable for Lenovo Phan? My ph is honor holly 3…. I thought it would be volte but it is only 4g lte..?how can i change lte to volte in my honor holly 3 ph… Plzzzz tell me…. 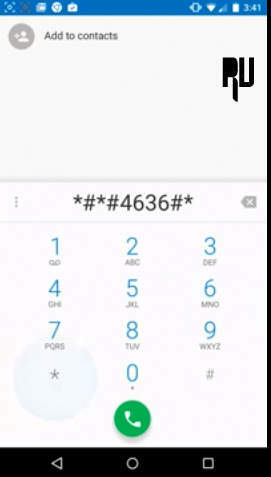 Hi, i have entered *#*#4636#*#* the command in my honor4x mobile…. but nothing is visible. can someone please help on this. Lenovo vibe X3 can support Volte by rooting or flashing any rom. but there is no option of volte and my redmi note 4G still non volte..
bro do i, use volte in swipe elite plus ..
Sir,how can activate LTE 4G into VoLTE in lenova vibe P1 a42. xolo black 1x lte to volte convert. Hi ,. I am using Lenovo k3note dose this support it????….. my phone is lenovo vibe p1m …can upgrade to volte ? ?